New figures show that passenger air traffic grew an estimated six percent in 2018 to reach 8.8 billion compared to the previous year. That's according to Airports Council International, which this week published a new report on passenger traffic in 2018 and the latest ranking of the busiest airports in the world. Hartsfield-Jackson Atlanta International Airport was, again, the world's busiest airport overall last year, handling more than 107 million passengers. 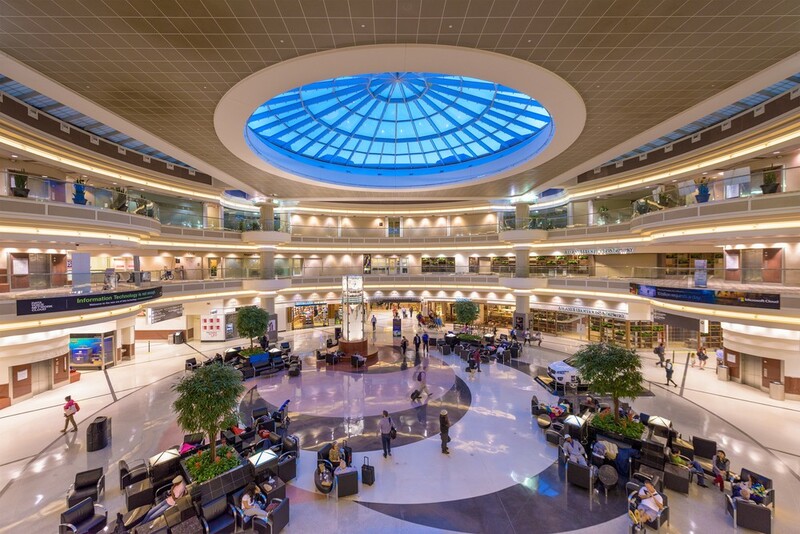 The world's busiest airport for international passengers, meanwhile, was Dubai International Airport, which saw nearly 89 million flyers pass through. For the first time, Beijing Airport surpassed the 100 million mark, marking a 5 percent growth and taking second place on the list of world's busiest airports. "It is heartening to see that global passenger traffic growth has remained resilient in the face of an increasingly tense and challenging geopolitical climate," ACI World Director General Angela Gittens said in a statement. "Aviation is strongly linked to the global economy and to local development, however, and the protectionist rhetoric that has swept several Western countries will continue to restrain growth in the efficient flow of people, goods and services." It's also estimated that increasingly affordable airfares and a burgeoning middle class in emerging markets will drive up demand for air travel by almost 30 percent between 2018-2030, Gittens adds.